Product #2506 | SKU AE3300 | 0.0 (no ratings yet) Thanks for your rating! 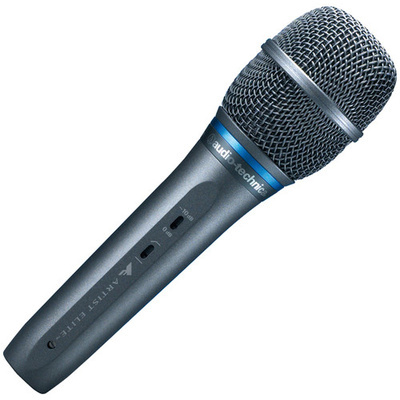 With pristine audio quality, ultra-low handling noise, and high-frequency clarity, Audio-Technica's AE3300 gives voice to the subtleties of vocal performance. This cardioid condenser vocal microphone features the condenser element used in the legendary AT4033 and proven in the world's finest recording studios. The hardened-steel outer grille is lined with fine steel mesh and a layer of open-cell foam for ultimate protection against vocal plosives without compromising high-frequency clarity. Its superior anti-shock engineering ensures low handling noise and quiet performance. For exceptional performance. For exacting detail. For brilliant clarity: AE3300. it's the new standard in live audio.